Agriculture Income Tax is often neglected in India, even by people having good income from it, thanks to ignorance and misbeliefs. Agriculture income in India is exempted from income tax under certain conditions, under section 10 (1) of Income Tax act. This does not mean that you need not pay tax on your agriculture income. As a matter of fact, agriculture income is also taxable on certain conditions. 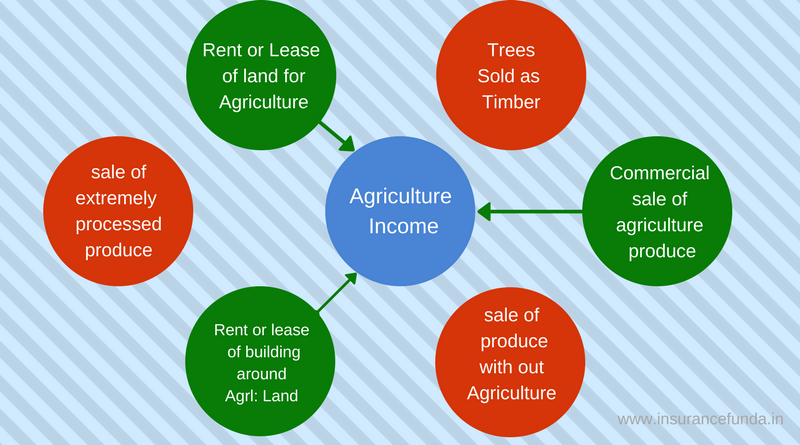 What is an Agriculture Income. Agriculture Income has been clearly defined under section 2(1)A of Income Tax act. Your Income can be considered as Agriculture Income if it satisfies following conditions. Revenue generated through rent or lease of a land (in India) that is used for agriculture purposes. Income generated by commercial sale of a produce gained from an agriculture land. Revenue generated through the renting or leasing of buildings in and around agriculture land. Agriculture Income Tax – When you need to pay it. Tax on Agricultural income is to be paid if following two conditions are satisfied cumulatively. Total income, excluding net Agricultural income exceeds the basic exemption limit. Agriculture Income Tax – How to calculate? If you feel that this calculation is complex, you can use the Agriculture Income Tax – online calculator to calculate your Income Tax liability on your agriculture income.